Virginia Woolf’s classic Mrs. Dalloway opens with the title character preparing for a party. In the day to follow, Mrs. Dalloway and her friends, family, and acquaintances weave in and out of a loose narrative that follows a stream-of-consciousness prose style, seamlessly jumping from character to character. With strong social commentary evident on each page, Woolf sketches early-Twentieth Century London through the eyes of various social classes and makes a strong point about the intersection of class position, perception, and biases. 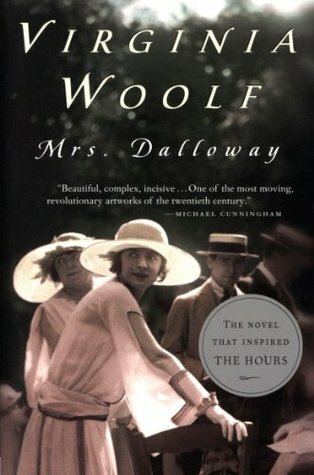 One of the remarkable achievements of Mrs. Dalloway is Woolf’s ability to be both specific and broad in context and theme simultaneously. Although the story focuses on a select group of people, the implications of their thoughts and actions are easily applicable to society as a whole. While this is often the case or aim for fiction, Mrs. Dalloway gets at it especially well by creating characters who are both stock and individual. This works because she provides a first-person look into each character’s life, allowing them to reveal themselves to the reader while also providing the perspectives of other characters on a given point-of-view character. So while Mrs. Dalloway herself can appear as a sort of stock character who is a high society lady and readers may well accept that as the truth of her person, her maid Lucy’s understanding of Mrs. Dalloway is quite different, and adds dimension to the title character. It’s important to note, however, that racial, religious, and other identifying intersectionality is minimum, at best. Woolf tells of these characters, too, with prose that is elegant and meandering, much like many of its contemporaries. Despite being a very different kind of work, Mrs. Dalloway frequently reminded me of J. D. Salinger’s “A Perfect Day for Bananafish.” I can’t quite put my finger on why, but if you enjoyed Salinger’s short story, you might find something in Mrs. Dalloway to enjoy as well. With the stream-of-consciousness structure, Mrs. Dalloway can be slow at times. Though the commentary on society is endlessly fascinating, it can also be fatiguing with line after line making some point or other about this or that facet of life as a human. It’s a lot to take in and would likely require several reads before a reader could feel like they had a grasp on the majority of it. Woolf’s depth and attention to detail is extraordinary in Mrs. Dalloway and this means the reader’s attention, too, must be hyper-focused. For such a short novel, it can take a lot of scrutiny and turning over in the mind to impart the most on the reader. Mrs. Dalloway is, for sure, one of those novels that you’ll get more out of if you’re in a classroom and have the guidance of historical, geographical, cultural, and literary context. But that’s not to say you can’t find value in Mrs. Dalloway reading it on your own. Woolf has lovely turns of phrases and, if you can manage the stream-of-consciousness style well enough, there are lots of opportunities to pick up on allusions and the various points Woolf makes about society. At the same time, this means Mrs. Dalloway requires a bit of work. If you’re looking for a straight entertainment read, this probably isn’t it, but if you’re up for a bit of careful reading, give Mrs. Dalloway a shot.